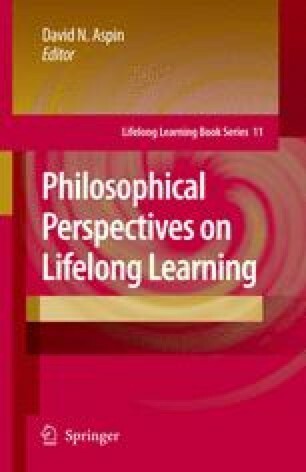 This paper starts from the position that lifelong learning is more than is assumed in current policy rhetoric. This rhetoric focuses on training for a ‘knowledge economy’ in which all citizens play their part. We argue that this rhetoric depends on a view of knowledge as instrumental, individual and disembodied. Against this we propose a notion of knowledge as social, embodied and reflexive about its own roots in time and space. It is this notion that underpins the richer, more democratic notion of lifelong learning which we explore in this essay using examples drawn from various, diverse sites, especially museum and art education ‘from cradle to grave’.